Hi I’m Angel, your psychic tarot reader. I’m 61 and have been doing psychic tarot readings for 35 years. 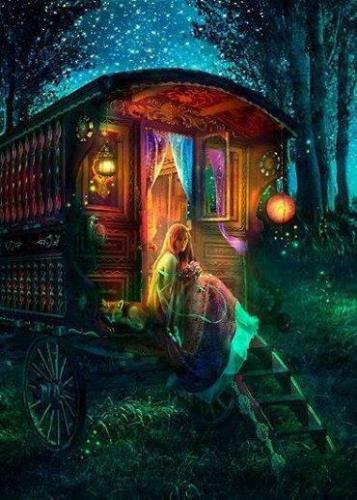 I also link with spirit as well as doing tarot reading, so if you want to no what’s in store for you give me a call! I love reading for people, knowing you have helped someone as well as bringing peace of mind and comfort is a great feeling. When a very close family member passed on, this is where my gifts really kicked in. I had been aware from my early teens, around the age of 13 but hadn’t done a lot with it. I gave a lady client of mine a very in-depth reading. Within 8 weeks of this everything I had predicted would happen, had happened! She was so pleased her life had turned around, she sent me some beautiful flowers and a teddy bear afterwards to say thank you. I now read for her regularly and we have become great friends. I have been through a lot in my life, and seen and experienced some heart breaking things. I have suffered the loss of many close family members, and nursed my brother through his illness. This has gave me a great deal of empathy towards others, which helps in my readings. I feel what you’re feeling, and I can help you through your hard times. I realise some of my clients can be experiencing terrible things, and may sometimes be vulnerable. I am always sensitive and nurturing. I will try to keep my readings as positive as possible, giving help and guidance. Almost made me cry. Thank you. Simply the best. Deep. Straight to the point I recommend Angel. You are an Angel. Wow, picked up on super specific details such as what I'd been working on the past couple of days. Picked up on personalities to a T. Really fabulous honest reader, I was surprised at the details! Leave feedback for "Angel Spencer".